What the heck is social media and what role does it play in my marketing? This is probably a question I wouldn’t have received two years ago, but yet today it’s the most common question that enters my inbox. First off, let’s talk about what social media is. Social media represents low-cost tools that are used to combine technology and social interaction with the use of words. These tools are typically internet or mobile based. A few that you have probably heard of include Twitter, Facebook, LinkedIn and YouTube. Social media gives marketers a voice and a way to communicate with peers, customers and potential consumers. It personalizes the “brand” and helps you to spread your message in a relaxed and conversational way. The downfall to social media, if you could call it that is that it must be a part of your everyday life in order to keep the momentum and attention you need for it to be successful – hence the rise of Social Media Agencies such as RAW, providing experties and releiving the pressure from business owners. Absolut Vodka – Online Video on YouTube and Using Facebook to house their Top Bartenderfan page. BMW – Utilizing Facebook to promote their 1-Series Road Trip and they have created a Rampenfest Pagefor fans. Dunkin Donuts – That’s right they’ve found value in social media and have set up a microbloggingTwitter account. Barack Obama – In my examples, I can’t leave out future President Barack Obama. He has been seen as a leader in the use of Twitter during the Presidential Election. He has over 170,000 followers and is following over 165,000. Personally I remember the “twitter buzz” during the Presidential Debates as well as the election. As you can see we have adult beverage companies, exotic automobile manufacturers, pastry shops and our future President using social media tool, it’s not to hard to figure out that there is something to it. We can use social media to provide an identity to who we are and the products or services that we offer. Social media makes us “real” to consumers. If you want people to follow you don’t just talk about the latest product news, but share your personality with them. 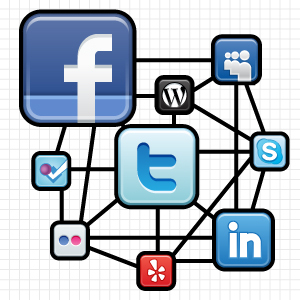 You cannot just depend on social media, you must integrate it with other vehicles of marketing. While social media will create awareness, I’m not convinced that in the beginning it will sell a million dollars worth of product. That’s not to say that one day once you’ve built up your social media “stardom” that it won’t, but it probably won’t happen tomorrow. Be consistent, if you do not plan on being consistent don’t do it at all – it’s a waste of everyone’s time. Success stories are abundant when it comes using social media from headhunters that find job applicants to new businesses that want to introduce a new product as well as already established Fortune 500 companies that want to strengthen their brand. The role of social media in your marketing is to use it as a communication tool that makes you accessible to those interested in your product and makes you visible to those that don’t know your product. Use it as a tool that creates a personality behind your brand and creates relationships that you otherwise may never gain. This creates not only repeat-buyers, but customer loyalty. Fact is social media is so diversified that it can be used in whatever way best suits the interest and the needs of your business.